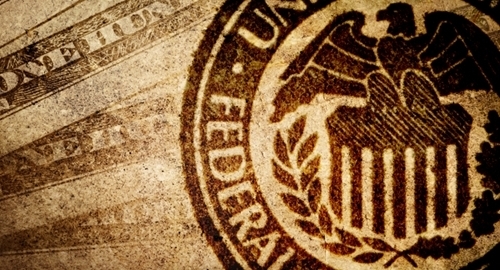 For the first time in almost a decade, the Federal Reserve has voted to increase interest rates. The news comes shortly after the body's December 16 meeting where the board voted unanimously to raise rates by a quarter of a percent. According to The Washington Post, the move is a vote of confidence in the American economy, which has been stable despite unsteady oil prices and slow growth in China as well as the rest of the global economy. In the Fed's official statement, the upward move, though small, is part of a plan to slowly increase rates after their 2008 rock bottom shift. "With gradual adjustments in the stance of monetary policy, economic activity will continue to expand at a moderate pace and labor market indicators will continue to strengthen," the Fed said in its official policy statement. The Fed initially voted to decrease rates in 2006 and lowered them at each subsequent meeting until they reached zero in 2008. Since then, the board kept rates at that level to help spur economic development. With the economy improving, the Fed felt it was time to increase rates again. "Given the economic outlook, and recognizing the time it takes for policy actions to affect future economic outcomes, the committee decided to raise the target range for the federal funds rate to 0.25 percent to 0.50 percent. The stance of monetary policy remains accommodative after this increase, thereby supporting further improvement in labor market conditions and a return to 2 percent inflation," the Fed said.